Babies give moms and dads so many moments to remember. Whether it's the first time they crawl, talk or walk, each milestone is something to be celebrated. These important times can fly by in seconds, so parents must try to capture as many as possible. Every activity has various stages, each one more exciting than the next. Little ones may start off by learning how to sit up and roll from their stomachs to their backs. 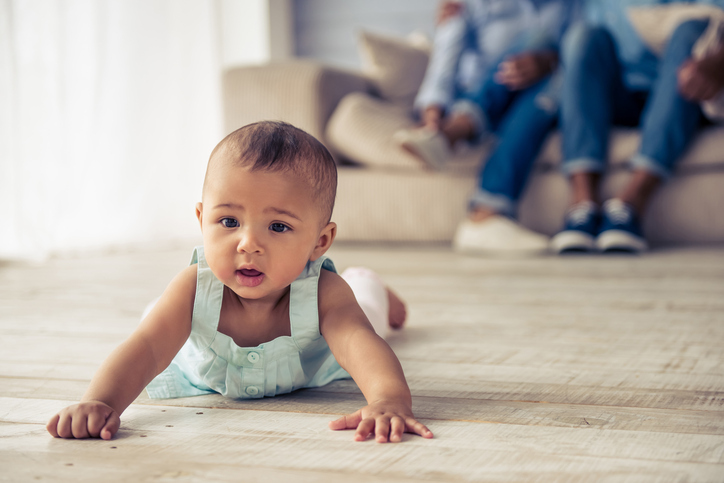 Although these accomplishments tend to occur between the six- and eight-month mark, parents can help by using cushions to prop children up or manually rolling babies over. From the army crawl to the bottom shuffle, newborns moving on their own is thrilling for mothers - no matter how many children they've seen experience the same thing. Parents who want to encourage their children to continue this activity in a safe manner should motivate their babies by placing toys a reasonable distance away and be sure to avoid sharp edges. Once children have crawling down, they'll want to stand on their own two feet. This stage will require constant attention from moms and dads, but watching babies learn to balance can be fun. Once little ones make it onto their feet and are able to take a few steps, they'll never look back. Learn more about these and other developmental milestones as well as safe ways to motivate these activities.